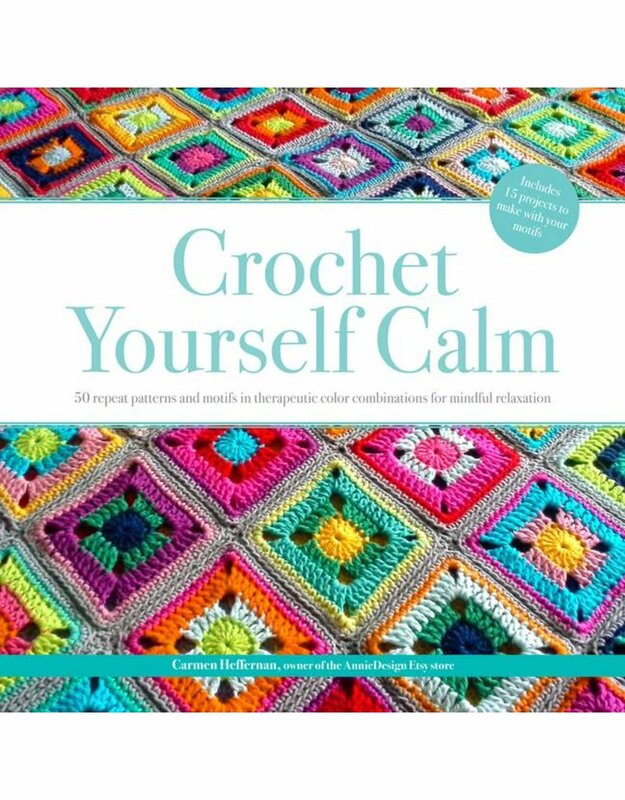 SP Crochet Yourself Calm - Crochet Stores Inc.
Keep your hands busy and your mind relaxed as you crochet this inspiring collection of 50 repeat patterns—some designed as small geometric motifs, others conceived on a larger scale. By focusing on the repetitive rhythms of creating your piece, stitch by stitch, you’ll truly be in the moment, your breathing and heart rate will slow down, and your serotonin levels will rise. Not only will you feel a sense of calm, you’ll also have 15 beautiful completed projects to show off! Make joyful rainbow-colored mandalas, ethereal cool-blue granny squares, and mellow spice-toned triangles—then turn them into bags, scarves, pillows, and more. Step-by-step photo guides teach the basics, making the entire collection beginner-friendly. Carmen Heffernan creates her own colorful designs and patterns for her successful Etsy store, AnnieDesign. 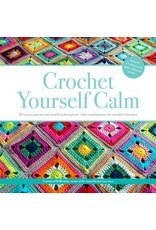 Her work has been featured in numerous blogs, magazines, and books, including Mollie Makes and Boho Crochet. Carmen lives in Waterford, Ireland.